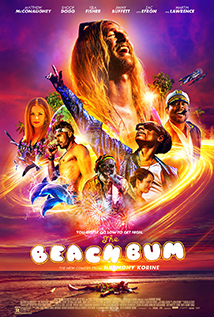 Somehow I've always imagined that the character Matthew McConaughey plays in this movie is his real life persona. I can just see him sitting around with some weed, a bongo, a bright swimsuit, and a Lamborghini in the background. I'm pretty sure he didn't have to act at all during the making of this film. As for the movie, it wonders around like a hapless beach bum for a good 30 minutes before we ever get any semblance of a plot or a quest. And even after that it is still a meandering mess that cleans everything up with a three minute montage of success with about 15 minutes to go in the film. It has a few funny moments, but not enough to make up for the incessant juvenile annoyances. I really don't want to be the curmudgeonly old guy here, but there were several occasions where I wanted to yell, "grow up, already!" at the characters. Basically, this is a movie for 16 year old boys and pot smokers. For everyone else it is tolerable at best, but mostly it is a sad look at a pathetic waste of talent. Chances are THE BEACH BUM will leave you bummed.